A movie review of ​CROWN HEIGHTS. CROWN HEIGHTS suggests a specific place, but this miscarriage of justice could be anywhere. 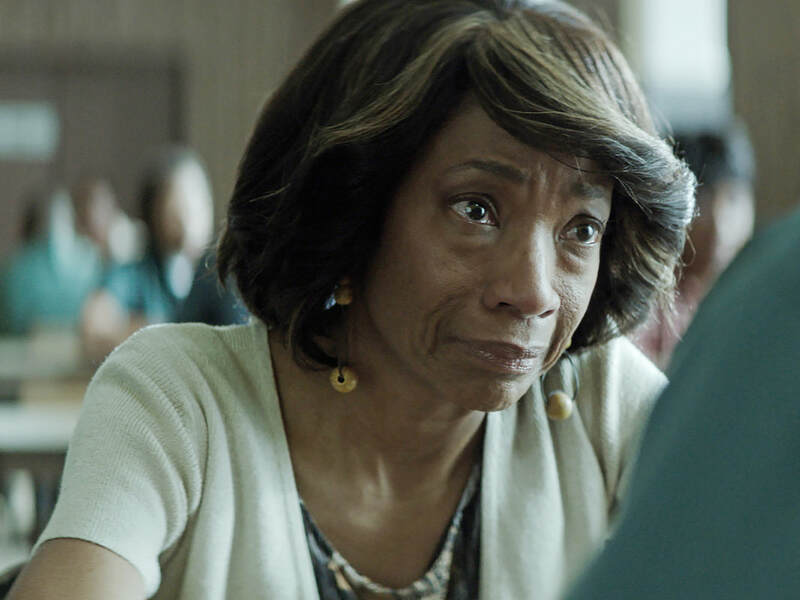 Wrongly and cruelly convicted of murder, the film is not just about skewering the morally reprehensible, but also celebrating tenacity and courage. While of course harrowing, there are glimmers of optimism. Based on a true story, if you are not sick to your stomach at the wrongdoing, by the justice system, by the end credits, then perhaps you need to re-evaluate who you are as a person. The film is far from perfect in its structuring, but gets the necessary points across. ​The corruption, incompetence and laziness of the police, lawyers, prison system, etc. are laid bare. (CROWN HEIGHTS can join Ava DuVernay’s powerful documentary 13TH looking at black Americans and incarceration.) 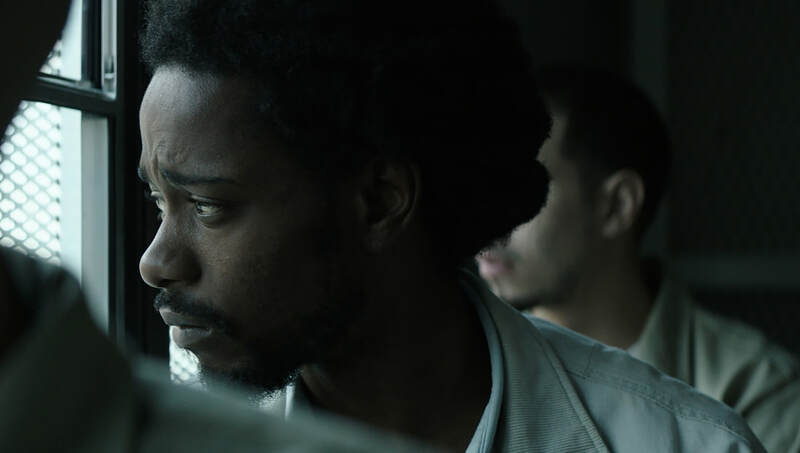 Colin Warner (Lakeith Stanfield) is sent to prison for second degree murder, which he clearly did not do, for a minimum of 15 years to life. (The actual perpetrator is a juvenile and gets a far lighter sentence.) We have to wait until near the end of the film to see how the crime was committed, and then how Colin was falsely convicted. The majority of the runtime is spent clocking years of appeals. And that is the major problem with CROWN HEIGHTS, trying to condense decades of history into 94 minutes. The story needed a mini-series treatment. THE NIGHT OF immediately springs to mind. (Both projects share actor Bill Camp.) Years roll by marking noteworthy events. What CROWN HEIGHTS gets so right is how a miscarriage of justice has a ripple effect. How many lives are ruined or derailed. 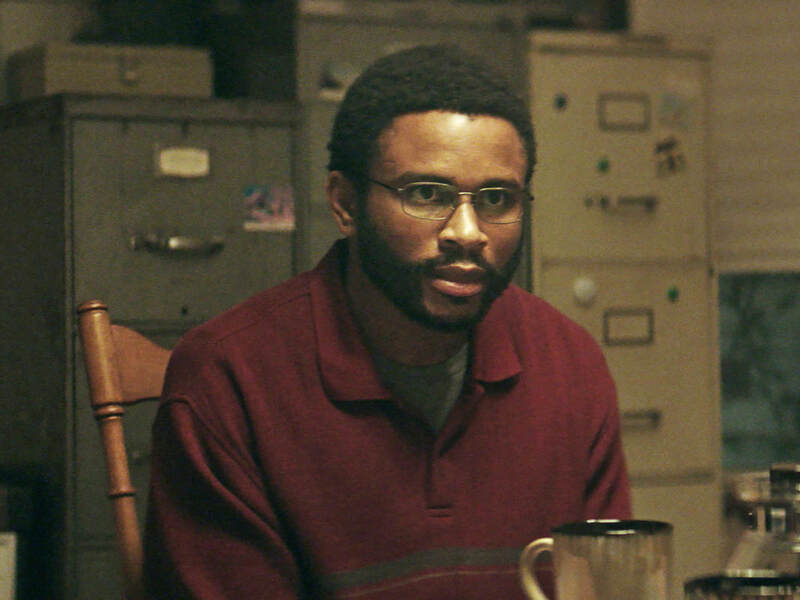 Carl King (Nnamdi Asomugha) sacrifices his own family life to never give up on his friend. Beyond endearing loyalty, Carl realises it could have happened to him, and so spends the same decades to help a friend. Colin was due to go on a date with Antoinette (Natalie Paul), and in an unusual turn they end up being together across prison walls. The grandmother, who raised Colin, dies while he is behind bars. Sacrifice and tragedy pulsates from the movie. How do you not give up? Colin is not painted as perfect, similarly to Gerry Conlon (Daniel Day Lewis) in IN THE NAME OF THE FATHER. Guilty of one crime does not mean guilty of all crimes. The neighbourhood is shown in a mixed light, not only rallying to Colin but also letting each other down - demonstrating how necessary solidarity is. A standout, heartbreaking scene is with Massup (Bryan Tyree Henry), who gave false testimony as a witness. He is confronted in a restaurant, expecting to be executed, almost relieved at his perceived comeuppance, and is then able to put things right. CROWN HEIGHTS catalogues a rotten justice system.